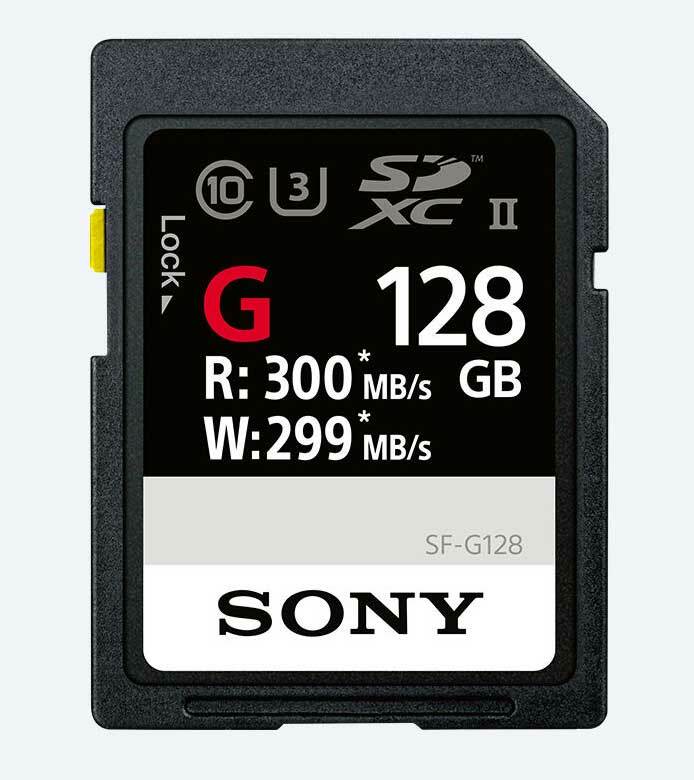 With the new SF-G series UHS-II SD memory cards, Sony has introduced the “world’s fastest” SD card—a blazingly fast write speed up to 299 MB/s and a read speed up to 300 MB/s. The SF-G series cards will be available in 32 GB, 64 GB and 128 GB storage capacities. Additional features include durable construction (the cards are X-ray-proof, waterproof, temperature-resistant and shock-proof, with anti-static protection) and File Rescue for recovering photo and video files, including RAW images and 4K XAVC-S video files (available as a free download to Sony memory card users). Sony has also introduced the MRW-S1 card reader, designed to transfer those large files from the SF-G series cards to a desktop or laptop. The card reader (which Sony also says is the world’s fastest) features a SuperSpeed USB (USB3.1 Gen.1) standard A port for cable-free connection, so files can be copied more quickly than through a computer’s SD slot. The SF-G series SD cards will be available in March 2017, and the MRW-S1 card reader will be available in April 2017. Prices are to be determined.